The suite of Hotel Radio is a large, bright room that can accommodate up to 4 people. 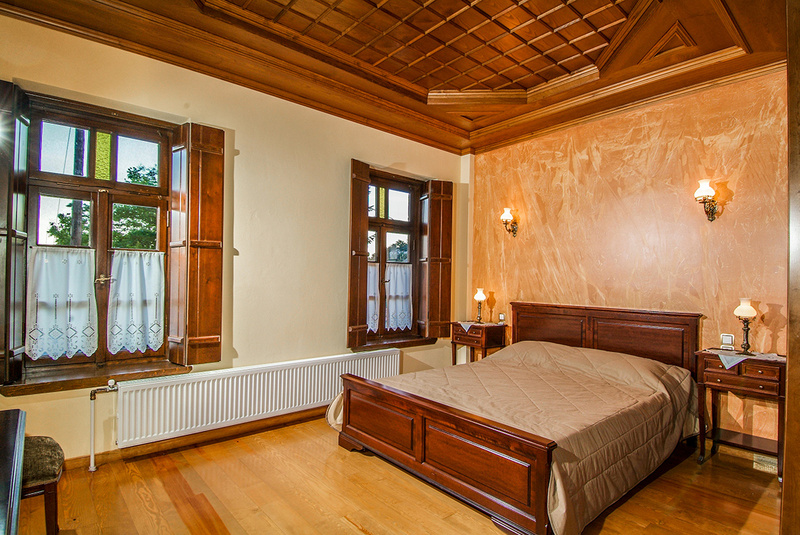 Made of fine polished wood and handmade wooden beds our suite highlights the glamorous style of the whole building. 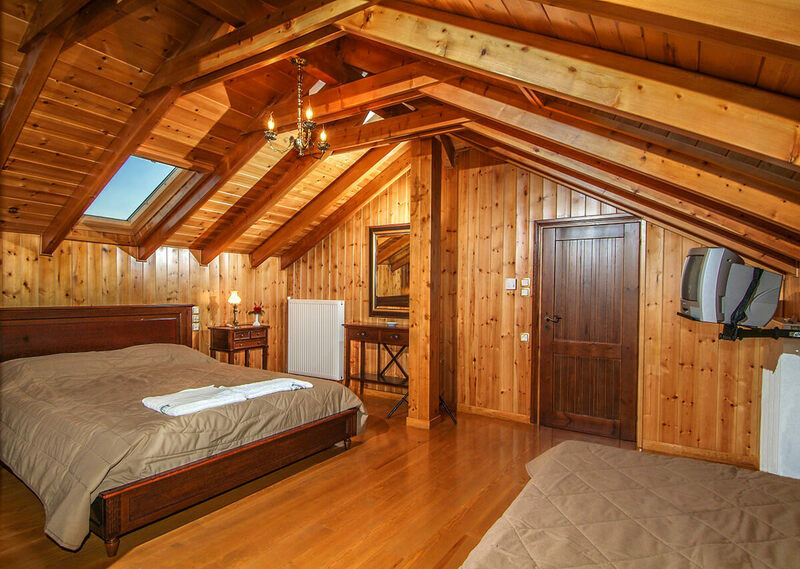 Our unique attic of Hotel Radio is entirely made of wood that gives the room a very cozy feeling. 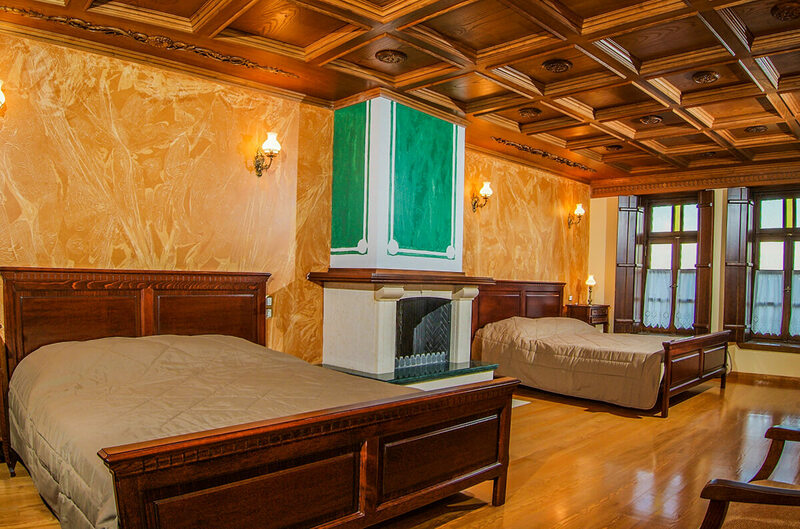 It contains a king size bed and a single bed that can accommodate up to three guests in total. The Hotel Radio has 8 standard rooms available that can accommodate up to 16 guests in total. Choose between 6 double bedded, a single bedded or a triple bedded and enjoy your stay in Skamneli village. Hotel Radio welcomes you to Skamneli, Zagori. Request a reservation today and visit Zagori to live a unique experience. Do you need to stay for a few days? Do you want to hunt wild animals? The 4 rental rooms next to the hotel is the ideal solution. The three double rooms are suitable for hunters while one room has 2 double beds and a fireplace. All rooms have TV and shower and there is also a shared fridge.